It is an auto script installer for web servers. It includes more than 400 web applications (free or paid) ready to install. As per user requirement these applications can be installed and used for site development. Softaculous works on many Web Hosting Control Panels i.e. cPanel, DirectAdmin, Plesk, H-Sphere, ISP System and Interworx. Its very easy to integrate. 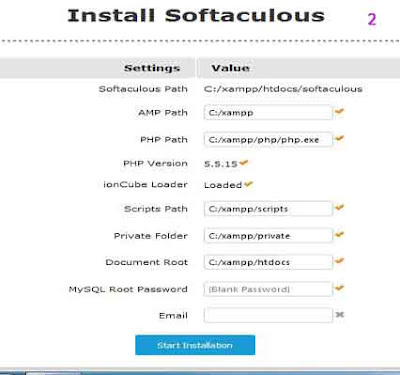 For developers, Softaculous comes with different package for AMP (Apache, MySql, PHP) like XAMPP and WAMP packages. Here also it gives same test like Web Hosting Control Panels. 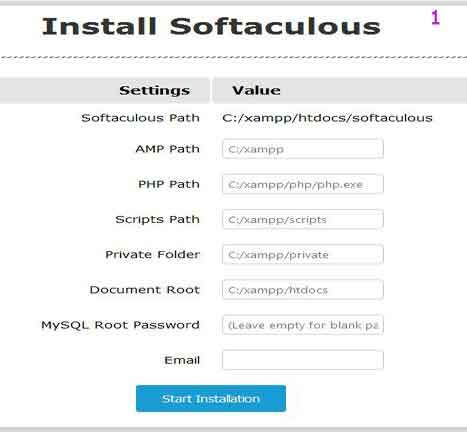 How to install Softaculous on XAMPP? A working XAMPP must be loaded on local machine. ionCube Loaders must be loaded first (if not previous) and enabled before Softaculous. If you have firewall enabled, then please allow access to *.softaculous.com and deactivate your antivirus application for a while to avoid any complicacy. 2. ionCube Loaders Installation: The ionCube Loader is necessary to run PHP files that have been encoded with the ionCube Encoder. Download correct package of loaders from ionCube Site ( http://www.ioncube.com/loaders.php ). Here package is available in Zip and Uploader format. ( Zip is advisable). Unzip package and place its contents under C:\xampp\htdocs\ioncube directory (for window OS). Add following line into php.ini file of C:\xampp\php folder. It will install loader. After installation check the status. Below screen should come after installation. In case of any error it will show with suggestion on screen. Download Softaculous package matching XAMPP PHP version from below given link. (php version show under phpinfo( ) on XAMPP home page). Extract the package under “softaculous” folder and place it in htdocs. Start the installation with default settings. If any error occurred, it is to be corrected. Restart the installation process from step 3. If “Installation Complete” massage page not appeared, then wait for a while to complete the process. If blank page appears instead, then before re-trying for whole installation process again, first confirm installation by giving above address in browser. 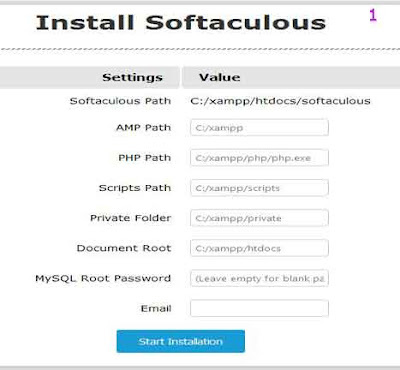 After installation of Softaculous Software, start installing scripts.